Charting the development of electronic music up until the 70s, BBC documentary The New Sound Of Music is our Saturday Matinée feature. It’s strange to think that synthesizers, some of them now the size of your hand, were monstrous machines that you needed a house to fit them in and the price of a mortgage to afford. Back then, these contraptions were state of the art and a culmination of decades of development in electronics and music. 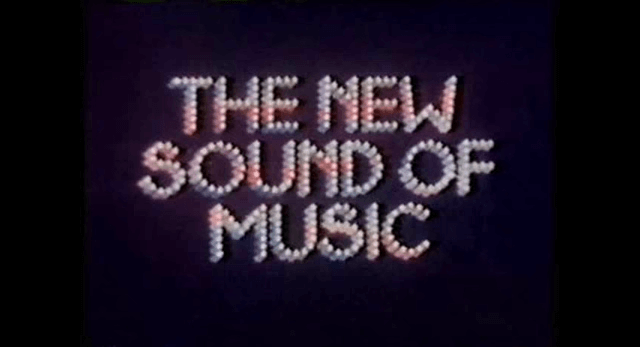 The BBC chronicled this sonic ascension in 1979 with their documentary “The New Sound Of Music”. The footage shows the fascinated host, Michael Rodd, talk you through numerous machines, predominately from the EMS catalogue, and the wonderful sounds they created. The documentary also poses as a reminder of Britain’s influence on electronic music and through the use of computers and their synthesizers. Stream “The New Sound Of Music” in full below.